This dragon ornament is handmade by Milon Townsend. 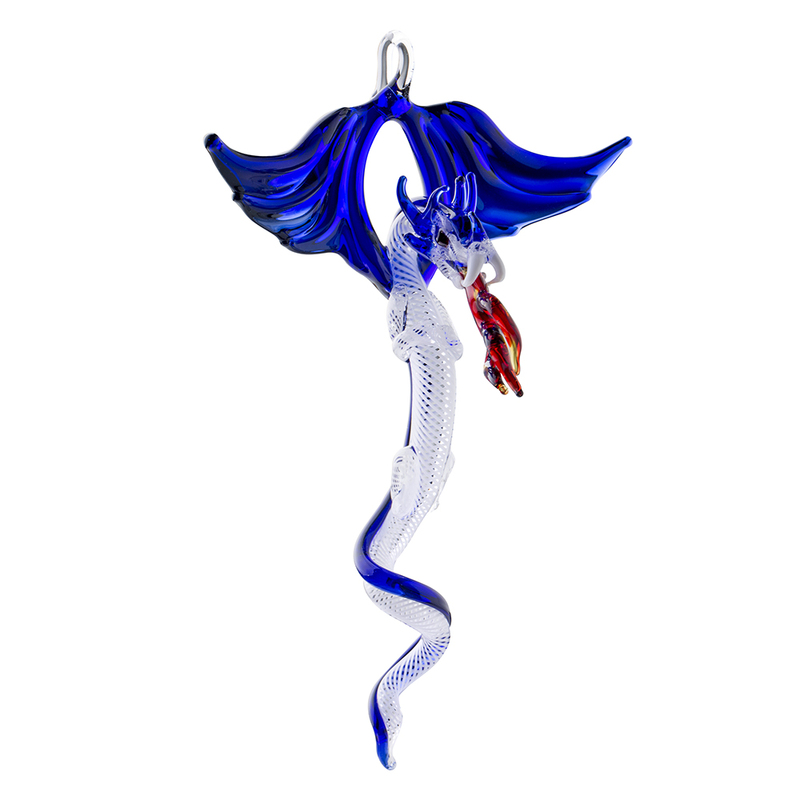 Milon Townsend has been working with glass for more than 35 years, in flameworking, cold working, and kiln casting. He frequently presents at workshops, classes, and conferences and his work is represented in many fine galleries, museums, and private collections around the world.